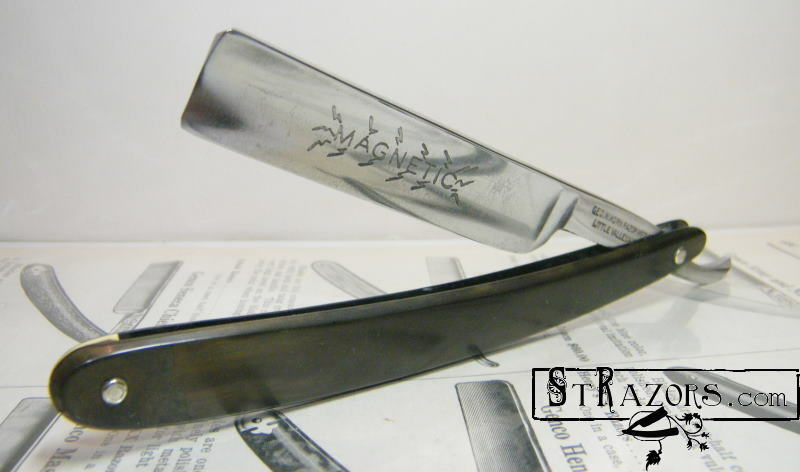 STRAZORS.com - all about classic razors - Geo. W. Korn Razor Mfg. Co., Little Valley N.Y.
Geo. W. Korn Razor Mfg. Co., Little Valley N.Y.
George William Korn was born in Breslau, Germany, May 22, 1846. He immigrated to the US about 1880, and went to work for the cutlery jobbing of Alfred Field. 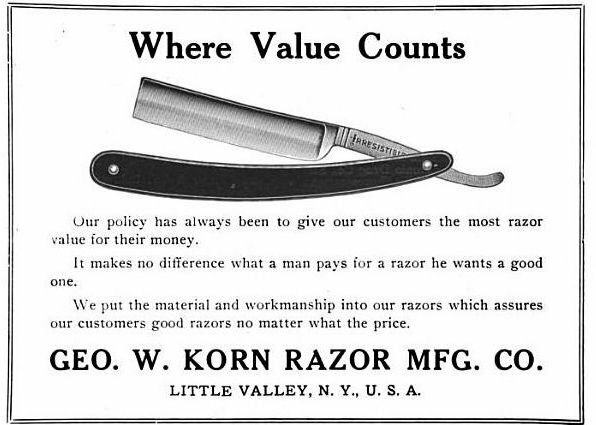 In 1900, he formed the George W. Korn Razor Manufacturing Company in Little Valley, New York. E.E. Kelley was a minority partner. G.W. 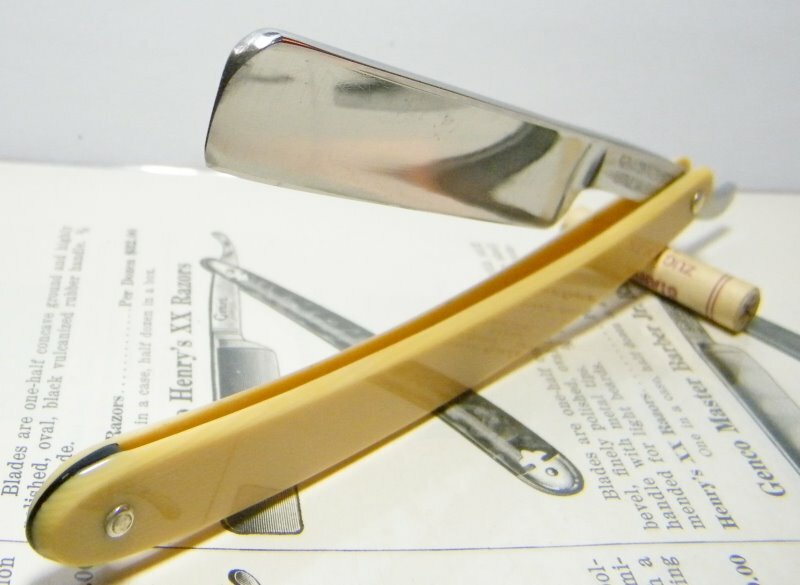 Korn applied for a patent in 1901 for a double hollow ground blade for razors. He was granted patent number 693,524 for this improvement on Feb.18, 1902. A razor blade using this patent is etched "American Double Hollow." The reverse side of the blade is marked "Geo. W. Korn Razor Mfg. 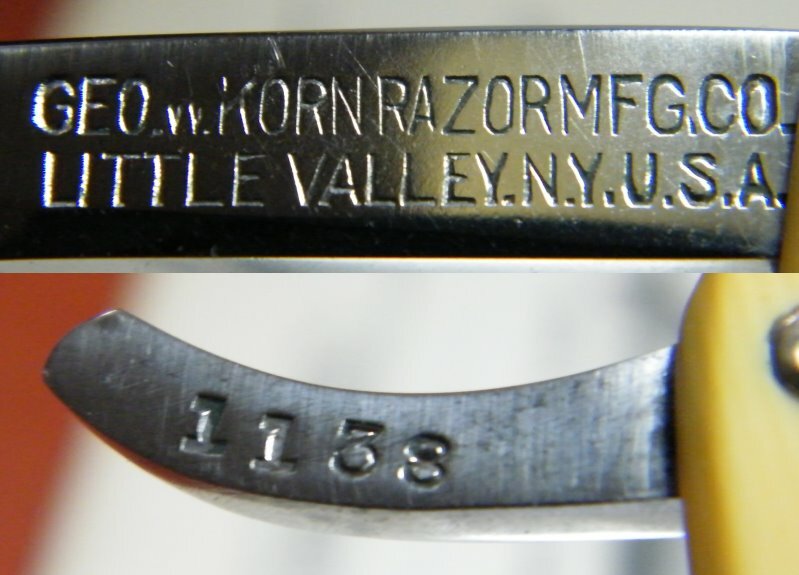 Co.", "Little Valley N.Y."
Very few razors are marked on the blade in this manner. In 1906, G.W. Korn was granted patent number 855,355, razor scales patent. and Sears, Roebuck & Company. G.W. Korn died on June 7, 1919. E.E. Kelley became president. They continued until 1925 when they went into receivership.